"Afrotropical Butterflies” is a digital format encyclopaedia, that currently comprises over 6 000 pages of text and images. It contains all the names (generic to infraspecific, including synonyms) that have been applied to the butterflies of the Afrotropical zoogeographical region. For each of the more than 10 500 names, the complete journal reference and type locality is provided. The distribution for each species and subspecies has also been included, but is still incomplete.Using the drop-down menus (click on the [+] icons) you will find a checklist of the Afrotropical butterflies, four bibliographies and menus for each of the six butterfly families. The taxonomic portion of the encyclopaedia is based on the monumental catalogue ‘Carcasson’s African Butterflies’, edited by Ackery, and others, of the Natural History Museum, London, and published by the CSIRO, Australia, in 1995. This work, unfortunately, included only publications up to about 1990. Consequently, publications that appeared between 1990 and 1995, and which were not included in “Carcasson’s”, have been given taxonomic priority, should there be non-concordance. Since 1990, more than 700 new species and subspecies have been described from the Afrotropical Region. There have also been many other taxonomic changes. The encyclopaedia includes four bibliographies. 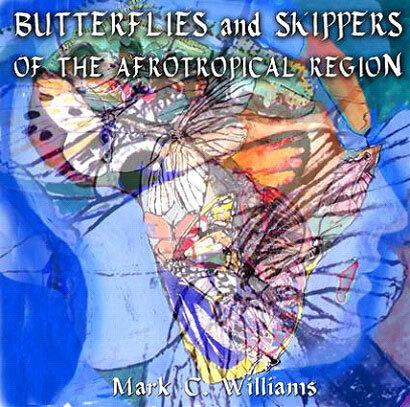 Two of the bibliographies list the references dealing specifically with Afrotropical butterflies (more than 5 000 references) and the third includes references of general interest (over 1 000 references). The fourth bibliography contains references to publications dealing with mymecophily (ant association) in the butterfly families Lycaenidae and Riodinidae. These bibliographies should serve as a valuable resource for accessing both the taxonomic and other recent literature. Expansion of the encyclopaedia on a continuous basis will include updating of taxonomic changes and updating and expansion of the bibliography. In addition, archived information regarding the biology of each taxon will gradually be added. This will include data on distribution, habitat, habits, flight period, early stages, and larval foods and associations. The adults of more than 2 000 species are illustrated by means of digital images and new images will gradually be added. A further envisaged development will be the inclusion of digital images of the early stages, larval food plants, and habitats. Each species entry is preceded by an asterisk symbol (*) to make browsing the files easier. Because most of the users of the encyclopedia are South Africans, species and subspecies from this country have, in addition, a hash symbol (#) at the end of their names. As long ago as 1858 Sclater, who studied birds at a global scale, realized that bird faunas were characteristic for different geographical areas of the earth. 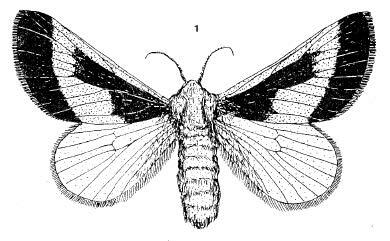 Soon after, Alfred Russell Wallace (1876) noted the same phenomenon in regard to butterflies, and refined Sclater’s work. Today, Sclater and Wallace’s zoogeographical regions remain largely unchanged, with only minor modifications having been made. Since plants show similar global distribution patterns to animals these regions are nowadays usually referred to as biogeographical regions. Palaearctic Region – Europe, north Africa, northern Asia and Japan. Nearctic Region – North America, north of Mexico. Neotropical Region – Central and South America. Afrotropical Region – Africa south of the Sahara; Madagascar and other offshore islands; and the southern Arabian peninsula. Oriental Region – southern Asia and the Malay archipelago. Australasian Region – Australia, New Zealand and New Guinea. The Afrotropical Region was, until recently, known as the Ethiopian Region but in 1977 Crosskey and White suggested the name be changed to ‘Afrotropical Region’ because of the re-naming of the African country known as Abyssinia to Ethiopia in 1941. This suggestion has gradually found favour, especially with entomologists. The Afrotropical Region includes continental Africa south of the Sahara (roughly south of 16° N), the southern parts of the Arabian Peninsula and the offshore islands, including Madagascar. The countries on continental Africa that are included in the Afrotropical Region are: Senegal, Gambia, Guinea-Bissau, Guinea, Sierra Leone, Liberia, Ivory Coast, Ghana, Togo, Benin, Nigeria, Mauritania, Mali, Burkina Faso, Niger, Chad, Cameroon, Equatorial Guinea, Gabon, Congo Republic, Angola, Central African Republic, Democratic Republic of Congo, Sudan, South Sudan, Ethiopia, Eritrea, Djibouti, Somalia, Uganda, Rwanda, Burundi, Kenya, Tanzania, Malawi, Zambia, Mozambique, Zimbabwe, Botswana, Namibia, South Africa, Swaziland, and Lesotho. The countries (or parts of them) in the Arabian Peninsula that are included in the Afrotropical Region are: Saudi Arabia, Yemen, Oman, and the United Arab Emirates. The offshore islands of the Afrotropical Region are: In the Atlantic Ocean – Cape Verde Islands, Bioko (Equatorial Guinea), Sao Tome & Principe, and St Helena. In the Indian Ocean – Socotra, Comoros, Madagascar, Mauritius, Reunion and Seychelles.